Hotel Gdansk Restaurant is an unusual restaurant in a unique place. Hotel Gdansk Restaurant is an unusual restaurant in a unique place. 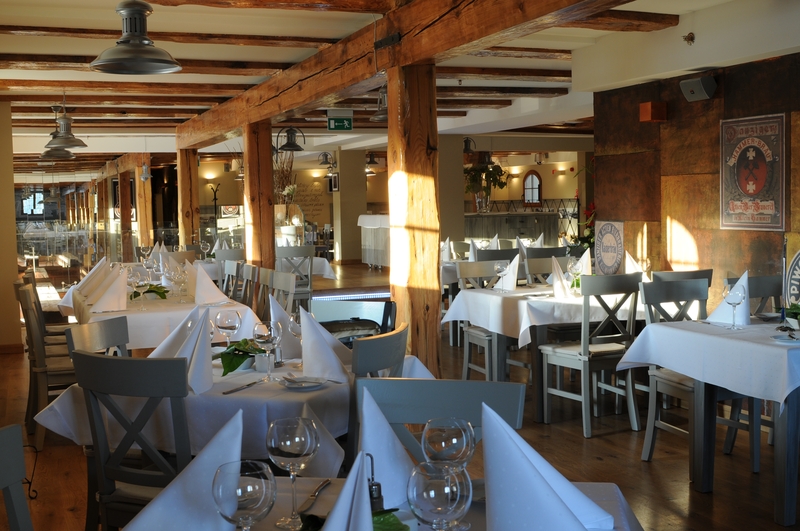 It serves exquisite dishes of Polish and Gdansk regional cuisine. The duck a la Brovarnia and the spicy fish soup have won our guests’ hearts and tastes. For the preparation of our dishes we only use fresh and natural products, without any preservatives. The mini-brewery is a great addition to the boutique complex and a very interesting attraction for Hotel Gdańsk Boutique guests, who may here try the best beer in Poland. Our Schwarzbier (dark beer) received this title during the prestigious beer contest in Zywiec 2011. There is always something interesting happening in our brewery and you can enjoy live music every evening. The 400-year-old structure of timber beams makes the interiors look splendid and creates a special atmosphere. On request, we can organize a beer seminar, conducted by our brewer. The seminar, in combination with a ceremonious beer barrel opening by a person selected from your group, will make each private or company event even more special. We brew three kinds of delicious Gdansk beer – Brovarnia Pale Lager Beer, Brovarnia Schwarzbier (dark beer) and Brovarnia Häfeweizen Beer (wheat beer). For their production we solely use water, high quality malt from barley and wheat, hop and yeast. Our beer kinds are natural and without any preservatives, which makes them exceptional in taste and color. Several times a year we brew limited editions of special beer kinds, which you may only try in our brewery. In season, the garden restaurant, overlooking the yacht marina, lets taste delicious dishes and Beer Brovarnia the fresh air, enjoying the beautiful surroundings. You're welcome!